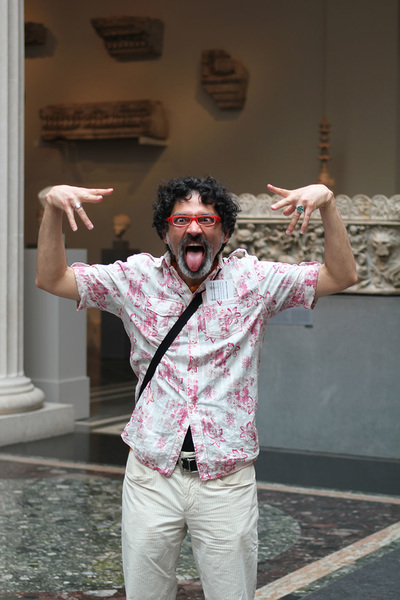 With Best Praxis at the Metropolitan Museum of Art, New York, NY. 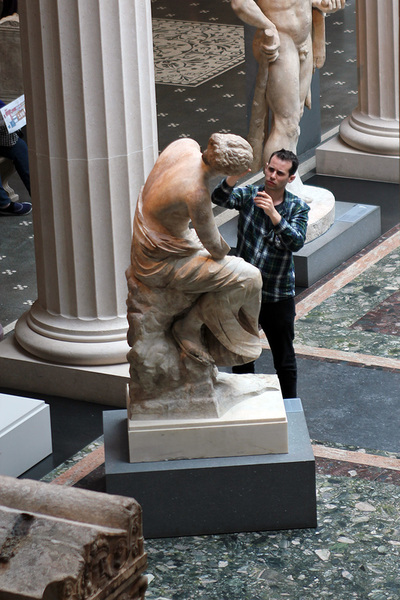 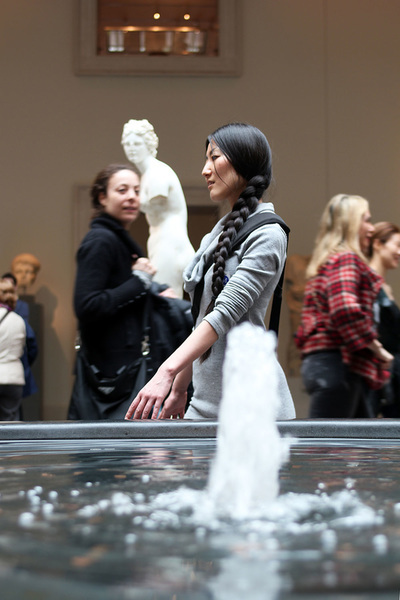 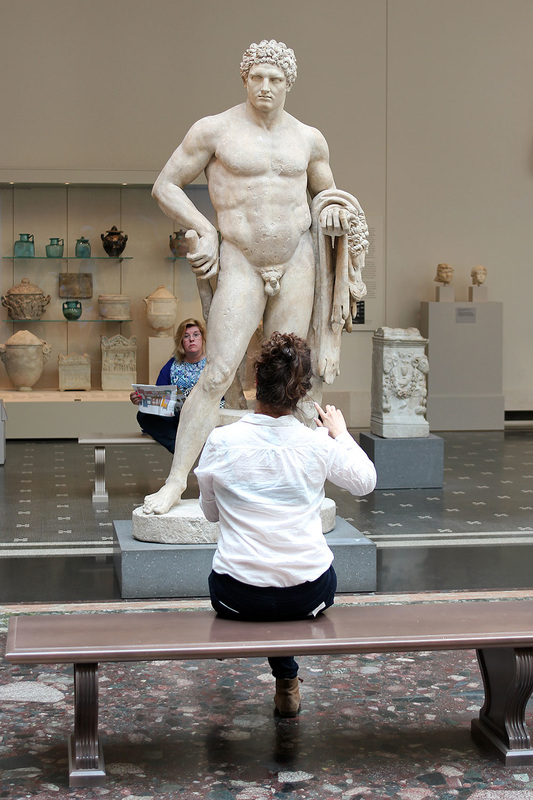 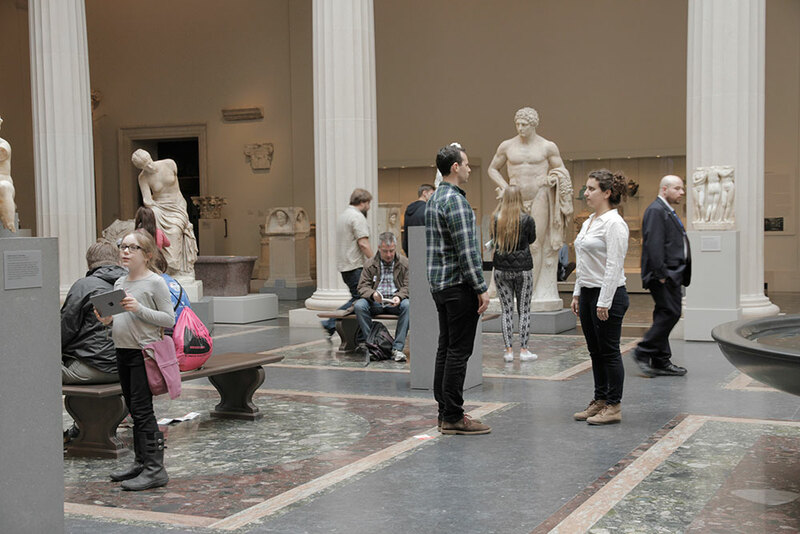 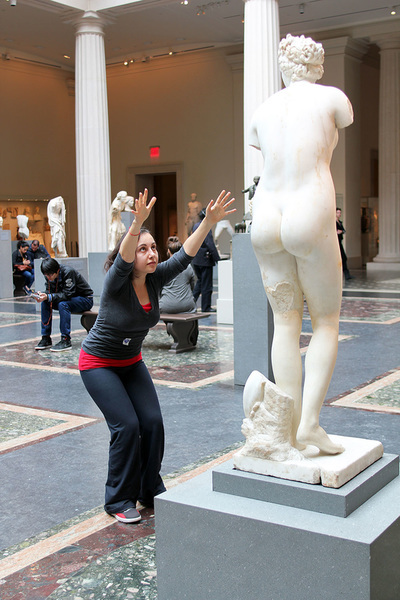 We came together as a group of 12 artists and scientists for an eight hour performance in the Roman Sculpture Court, to explore our democratic origin myth through discussion, movement, sketching, and play. 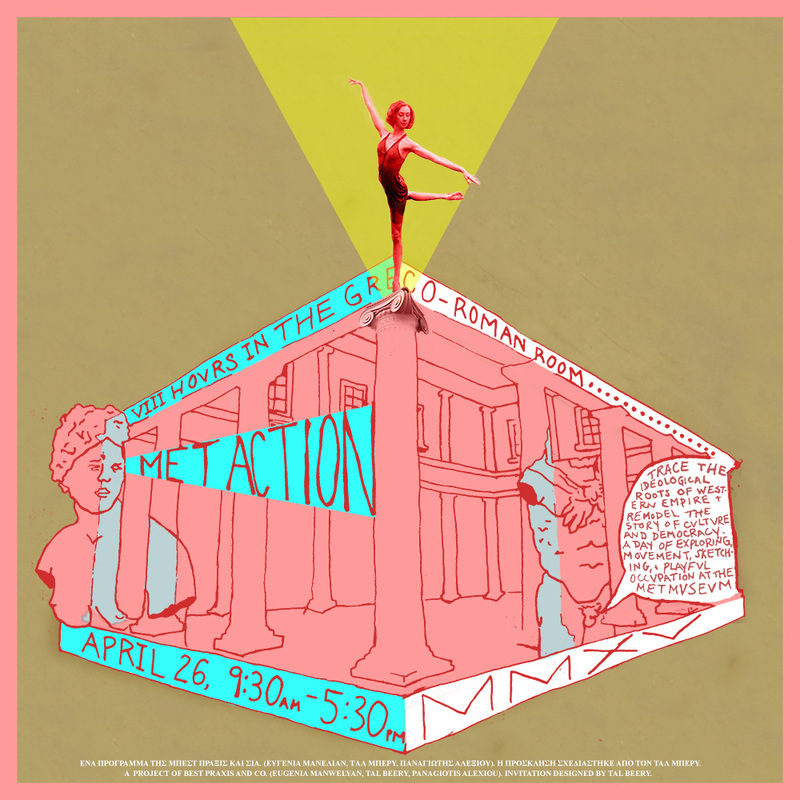 This action was born of a question: “What would we do at the Met if we were free to do anything?” What we came up with is part intellectual query, part political action, part dance; part performance, part workshop, part occupation. Part I took the form of a conversation, led by a native Greek scientist and thinker, Panagiotis Alexiou. 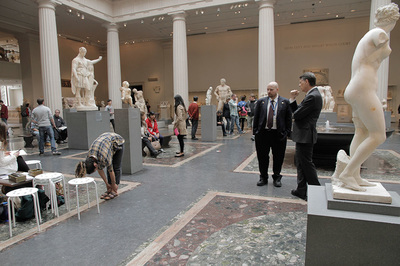 Through discussion, observation, and presentation, we traced America’s ideological heritage to a country and empire on the other side of the world. 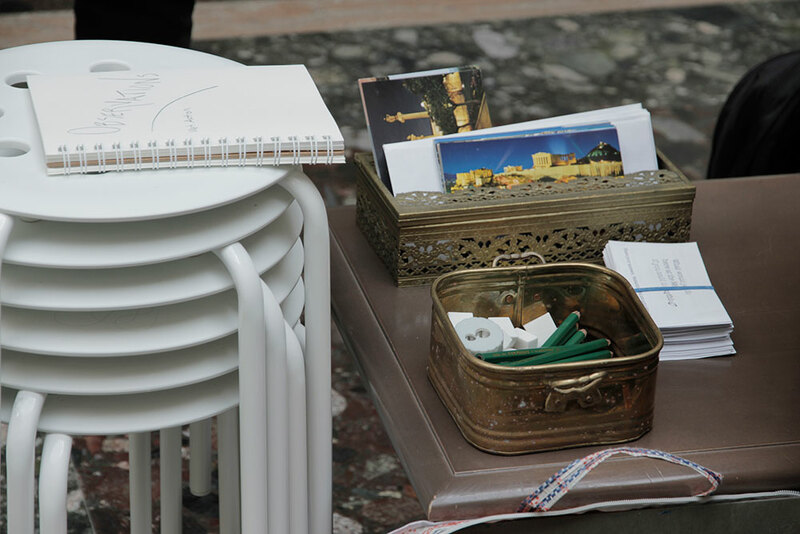 Part II was series of sketching exercises where we began to integrate some of the ideas about democracy, civilization, story, and history with our personal narratives, memories, and feelings. 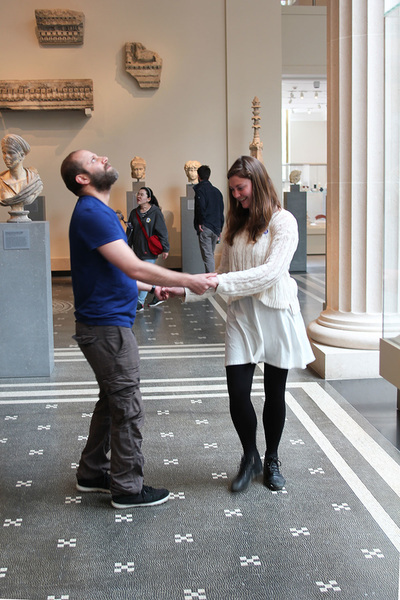 Part III was a lively game that provided access to an embodied understanding of the exhibition, exploring our bodies and interpersonal relations in the museum space. In many ways, the Met Action is our proposal for the museum of the 21st century. We believe that the museum can be a place of deep learning and freedom. This action was a hopeful disruption, an announcement that artists and museum-goers alike demand and benefit from the freedom to talk, create, and move. 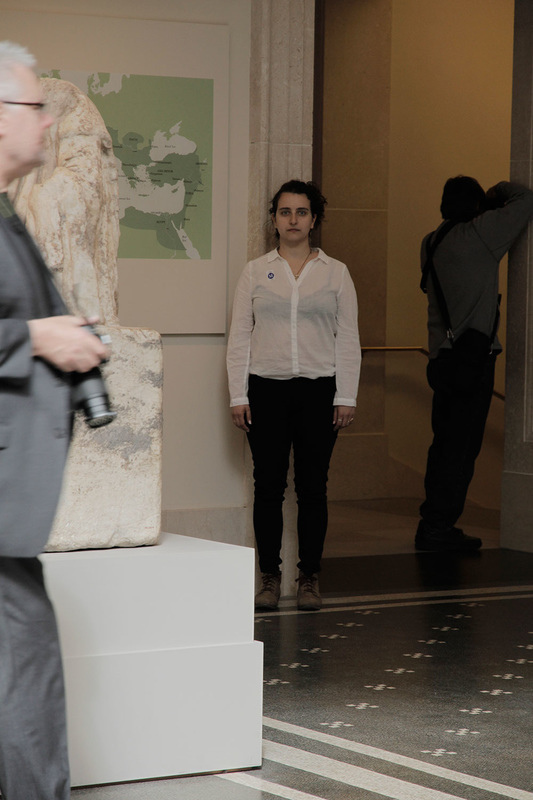 Freedom to appropriate and occupy, to be independent, free thinking, questioning, concerned iconoclastic idol worshippers.